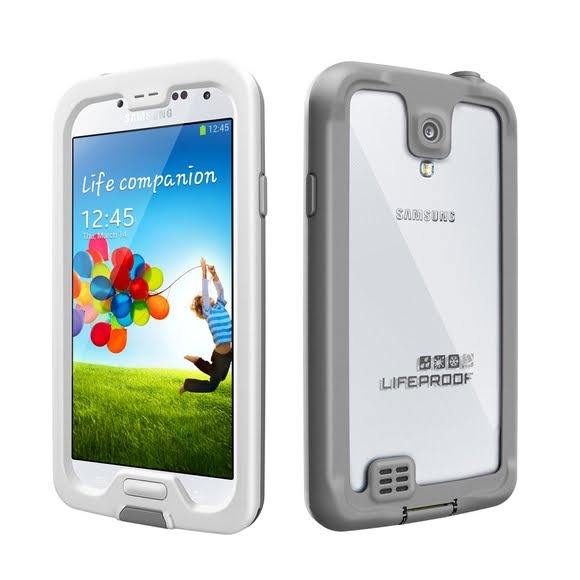 Meet the next big thing for the next big thing - LifeProof fre for Galaxy S4. Your Galaxy S4 is smart for a smartphone, so the smart thing to do is protect it from the daily hazards and mishaps it faces each day. And the smart choice for protection is fre for Galaxy S4. The most advanced waterproof Galaxy S4 case available also protects it from drops, dirt and snow - all while allowing complete access to every control, feature and function. That means the camera, buttons, microphone, speakers, headphone port - everything. The sleek profile hugs your Galaxy&apos;s smooth curves while the clear back showcases its natural color. And, your choice of cosmic case colors highlight your color confidence. What makes a fre case so protective is the integrated scratch protector. fre completely safeguards your Galaxy S4&apos;s touchscreen with an ultra flat, ultra clear scratch protector that&apos;s virtually invisible to the eye and touch. There is simply no Galaxy S4 case on the market that delivers this level of protection and usability.